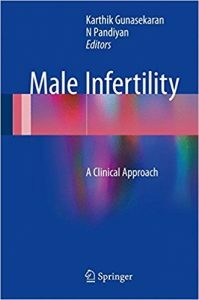 The book aims to bring into focus the current understanding of male reproduction and the pathological basis of failure to reproduce in men. Infertility in men is a common disorder. However, attempts at scientific study of male infertility are of very recent origin. Many questions about the physiology and pathophysiology of male reproduction are still not clear. The chapters are written by authorities in the field with great clinical experience. The primary focus would be on clinical perspective; however emphasis would also be placed on basic research and molecular biology.